Its feathery antennas snap off if it is attacked, confusing the predator. 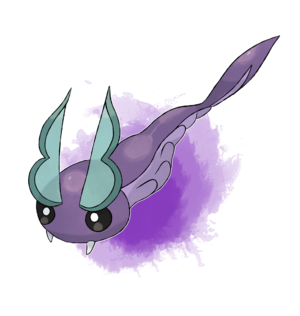 Nudiflot ♂, the Flotsam tuxemon, is a Water-type monster. 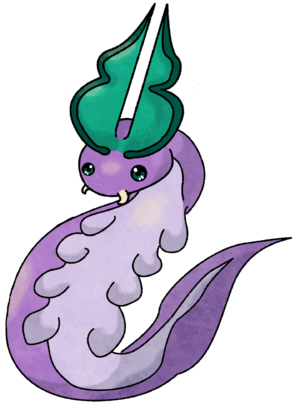 Originally intended as an evolution for Nudiflot ♀, spun off to be a base morph. Original design by Sanglorian and DevilDman. Sprites by Levaine. Back sprite by Sanglorian. Face sprites tweaked by Sanglorian. This page was last modified on 6 April 2019, at 01:07.